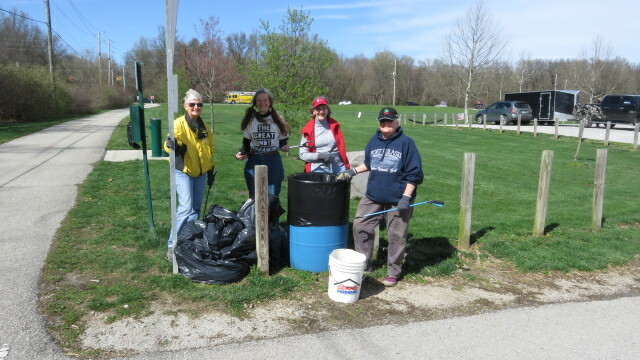 A group of volunteers came on Friday to get a head start on the annual Eagle Creek Woods I cleanup along Reed Road and 56th Street. After finding out that there was a soccer tournament on Saturday, some neighbors decided to get the northern part of Reed Road, southern part of 56th Street, and around the Mayor’s Gardens done today. A lot was accomplished and it will help make tomorrow go so much smoother. Thanks to everyone who is participating in organized cleanups or going out on their own and tackling an area. It certainly is making a huge difference!